Following from our last Slaydies Series Spotlight we have another! In this post we chat to Ashley Arvelo, a MilSimmer from Southern California! Hey Ashley! Thanks for being a part of the Femme Fatale Airsoft Slaydies Series Spotlights! Can you tell my readers a little bit about yourself? Hi! 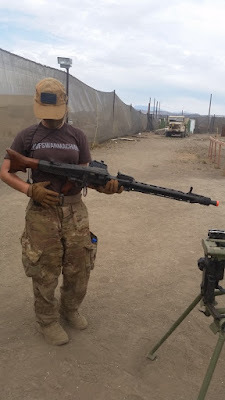 My name is Ashley aka Milsim Ashley and I am 21 (22 in March) I'm from Southern California, USA and I’m a full time college student getting a degree in Criminal Justice. About 4 years give or take a few months. I’d always wanted to go, but I didn’t have anyone to go with. When I started dating my boyfriend we went for his birthday and within a month I had bought my first gun. I don’t know if it’s the people I get to meet or if it’s the fact that I get to shoot my family members and boyfriend. I’ve met some great friends playing airsoft and it has led to a lot of opportunities for road trips. Boron, an abandoned prison was one of my favorites before it was closed to Airsoft events. The history of the place was really interesting to me as a CJ major and there were tons of awesome hiding spots. Also, AMS Broken Home in Oklahoma because I rode a helicopter for the first time there and it was my first Airsoft road trip. I got to meet a lot of people I had only talked to on social media and the crew put on a great event. I play Milsim, but I tend to be that person who goes on suicide runs and hard charges an objective (I could never be a good sniper). I tend to run my mp5 swordfish and 1911 pistol the most, but my first gun is Freddy, my KWA m4 that caught on fire. 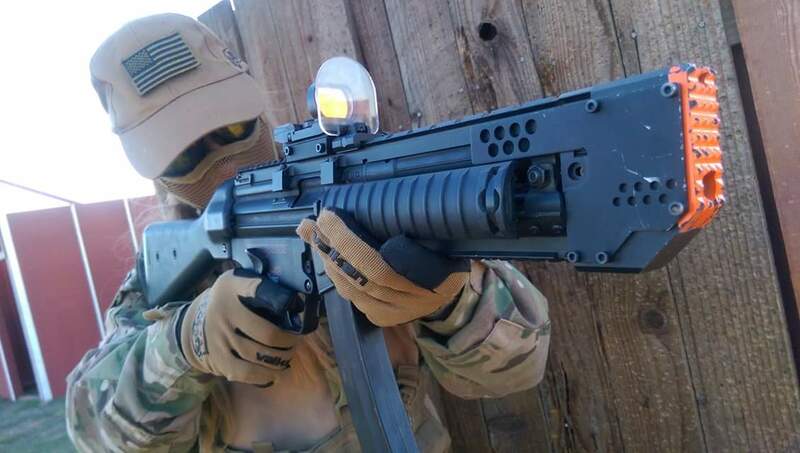 You’ll probably be seeing more of my KWA coming up. As for a loadout I have a lot of hand me down and surplus gear from Army Navy stores. I can’t afford to spend a lot of money on my gear so I have a Condor Chest Rig that has held up really well and I wear Magnum boots. The smaller stuff like hat and gloves comes from Voodoo Tactical which if I had the money I’d buy a lot more of. Being a women in Airsoft, what are your experiences? When I first got into Airsoft I could definitely feel a pressure to “prove myself” as a player and not as some arm candy that a guy brought out. But, I think that mentality is slowly dying out. 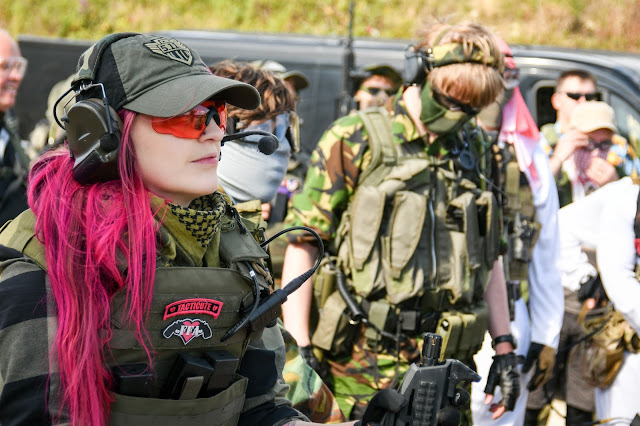 I’ve gotten a lot of hate from both players and Airsoft companies because I won’t conform to their idea of what a “female player” should be and I’ve been told I don’t need to play, I just need to look pretty by past sponsors. But, I’ve also received a ton of support from a ton of people (you know who you are) and I can’t thank them enough because it’s kept me in the sport. Social Media, where can my readers find you? I see so many people trying to become “Insta- famous” or an “Airsoft celeb” and it kind of pains me because that isn’t the point of these social media sites, which may sound like I’m a pot calling the kettle black. 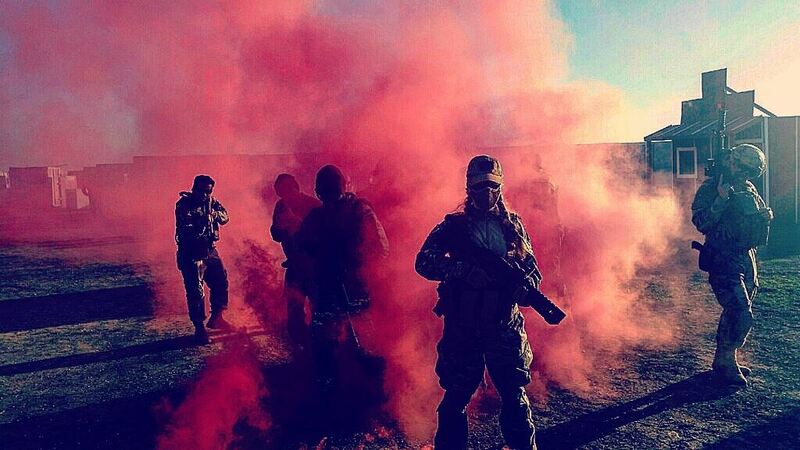 But, I’ve had experience trying both the “sponsored Airsoft celeb” and the normal everyday player and I’ve found that people respond much better to those who are themselves on social media versus a walking advertisement. Which is why I stay away from individual sponsors. By being yourself you meet so many other players and make friends from all around the world. These relationships are worth more than any sponsorship. So stop trying so hard to reach those follower goals and start being yourself and making friends with each other. In the end, you get something so much better than a discount or a free patch, trust me.